What Urig offers us in his book "Tips for the Contemporary Painter" is his version of artistic truths in painting. He has personally tested them all. He explains that we as artists need to set a good example. Developing a "Painters Code" will help rid our profession of myths and half-truths. 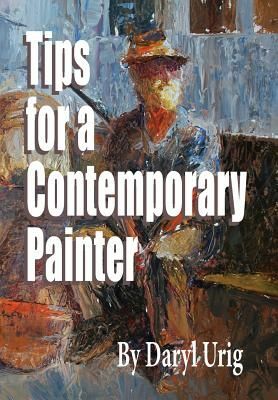 What Urig offers us in his book "Tips for the Contemporary Painter" is his version of artistic truths in painting. He has personally tested them all. He explains that we as artists need to set a good example. Developing a "Painters Code" will help rid our profession of myths and half-truths. Painters have an important role. What we create should add value and beauty to our world while providing respect for the painter and his work.